It's Not The Economy, Stupid; It's WACC! This is a revisitation of a report I wrote back in late 2016, predicting the imminent end of zero-bound interest rates and warning of the downward pressure that rising rates, mathematically, must place on today's elevated asset prices. Well, to address this, you need to ask yourself a few questions. How will the company be financing itself? It will need to deliver an acceptable return to both its stockholders and bondholders. What kind of return can investors get out in the market for a similar investment? If they can get a better expected rate of return, or similar return with less risk, they'll put their money elsewhere. Enter a calculation known as the Weighted Average Cost Of Capital (or "WACC"). 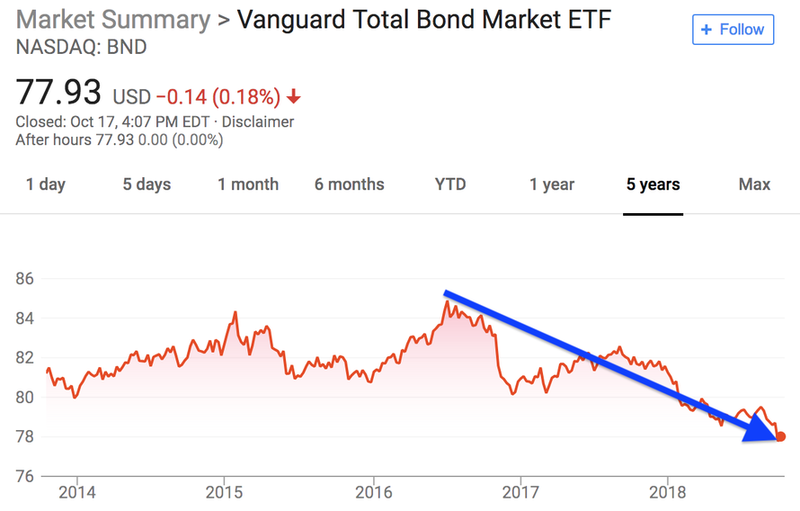 Again, without getting too technical on you, the WACC looks at how a company is capitalized (what % with debt, what % with equity) and what blended annual rate of return the investors who contributed that capital expect. Once you've calculated the WACC, you put that number into your DCF model as the annual discount rate and -- Voilà! -- your model spits out the present value for the company. Re, the cost of equity, is made up of two components: the market's current "risk free rate" + the "equity premium" that investors demand on top of that to hold stocks, which have more risk. 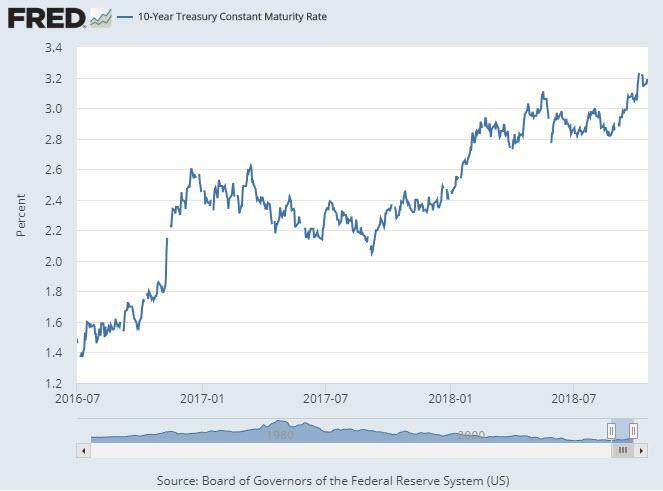 Most folks use the current yield on the 10-year US Treasury bond as the risk free rate (which is now over 3%). Similarly, rd, the cost of debt, has two components: the market "risk free rate" + the premium that the company's bondholders are charging to hold debt riskier than a Treasury bond. Note that the "risk free rate" is a critical component of both re and rd. Or in layman's terms: When interest rates rise so does the WACC, which mathematically makes valuations fall. Now, we only need to care about this if we're worried that interest rates will start rising. Maybe the central banks have everything under control. Maybe we're at a "permanent plateau" of sustainable zero-bound interest rates. Well, we now know the answer: It's time to worry. The housing market, which is sensitive to interest rates given the see-saw mathematical relationship between mortgage rates and real estate prices (i.e., higher rates = lower prices, all else remaining equal), has started cooling off after an eight year bonanza. As we've recently detailed in our report Trouble Ahead For The Housing Market, the most popular formerly red-hot markets are all showing signs of stalling/declining prices. Rising interest rates are quickly creating a political snafu. President Trump, who has enthusiastically claimed credit for the market rally that ensued after his election, is now lambasting new Federal Reserve Chairman Jerome Powell (whom Trump appointed) for departing from his predecessors' path of quantitative easing (i.e., bringing interest rates to historic lows). “We’ll look at potentially extending the maturity of the debt, because eventually we are going to have higher interest rates, and that’s something that this country is going to need to deal with." Indeed, like it or not, we're now being forced to learn how to deal with higher interest rates. What will likely happen? The unrelenting upward march in asset prices we've enjoyed over the past several decades is over. People won't be able to pay as much for stuff because the financing costs will be higher. 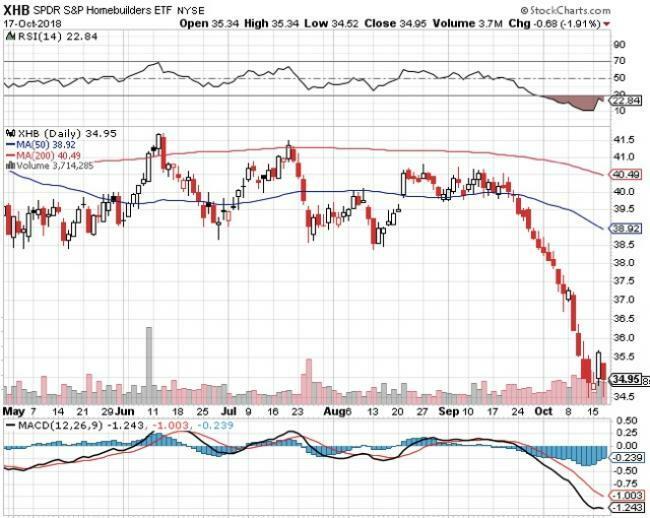 Falling asset prices should be in the cards. We've already been seeing that with bonds, and housing and stocks look like they are finally following suit. 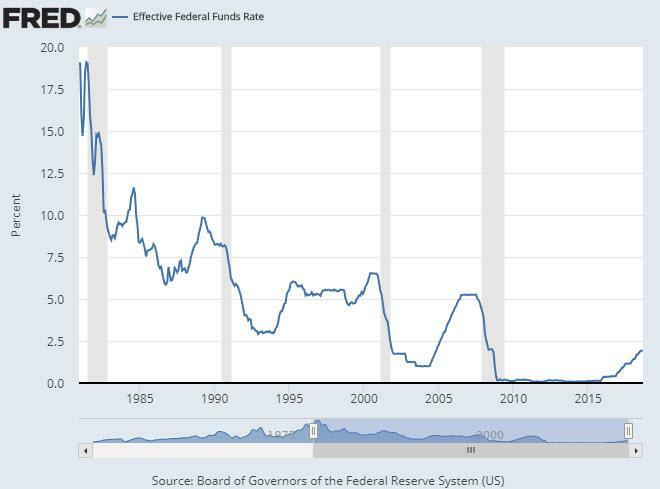 The higher rates go, the farther the fall should be. The Fed will be in a tough spot as this unfolds. Right now, the Fed is in quite a box after years of habituating the market to ZIRP. Powell seems serious about continuing to raise rates as far as the financial markets will tolerate, provided he can do so without killing the economy -- which is a big "if" at this point. 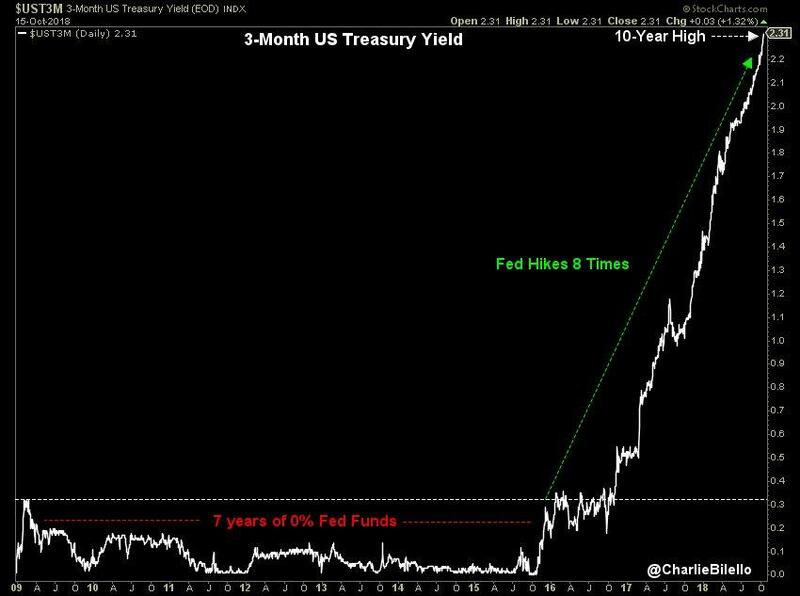 There's a lot of precedent for this; historically, the Fed's interest rate has usually followed the market vs leading it. The Fed wants to gain some maneuvering room to drop rates at some point in the future if it feels it needs to. At some point, if we risk entering a full deflationary rout, the world's central planners may well indeed pull out an arsenal of tricks similar to what we saw following the 2008 crisis. We may eventually see liquidity-injection programs so extreme that hyperinflation becomes a valid concern. But that time is not now. Get out of debt. Especially variable rate, non-self-liquidating debt (credit cards being a great example). As we've said many times, in periods of deflation, debt can be a stone-cold killer. Read the Financial Capital chapter from our book Prosper! (we've made it available to read for free here). Talk with our endorsed financial adviser (again, free of charge) if you're having difficulty finding a good one to discuss this topic with. Be sure to have positioned your financial portfolio to take into account the risks to stocks/bonds/etc raised here. And put today's rising interest rates to work in your favor. If you have substantial cash savings, consider putting them in short-term T-bills using TreasuryDirect, which now yield between 2.14-2.45%. That's over 30x what the average bank savings account is currently yielding. To learn more about this program, read our (free) report here.